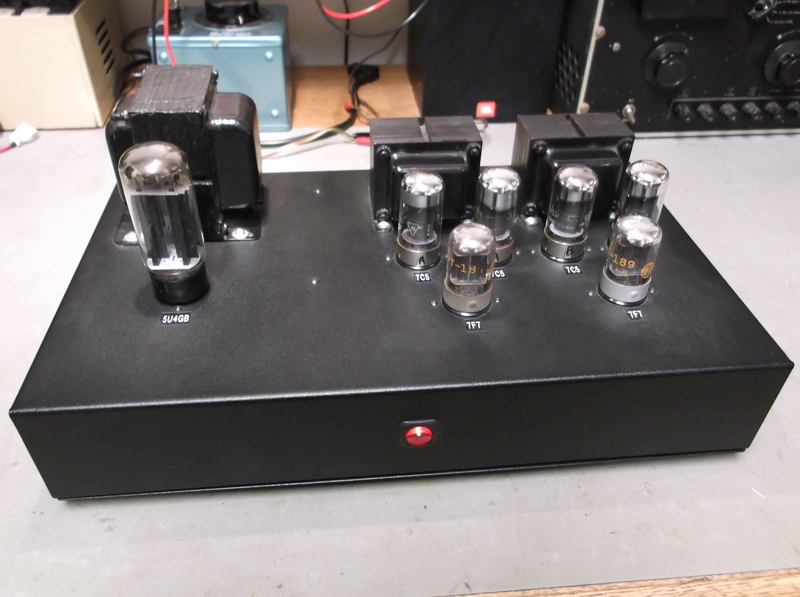 My first amplifier, which I finished in 2004. The first time. It was rebuilt inside and with a new power transformer for a dramatic improvement. It is about to be rebuilt a final time, using the same circuit on a newly layed-out and painted chassis. Are you still out there? If you are can you give guidance on value for choke in power supply and impedance of output transformer. The choke is a 1.5h Dynaco clone such as used in Stereo 70. Anything close to that really. Push-pull output transformers could be anywhere from 5k to 8k plate to plate, 10 watts or higher, to speaker impedance.